This Klipsch CDT-5650-C II is Priced and Sold as Each, For a Pair Add Two to Your Cart. 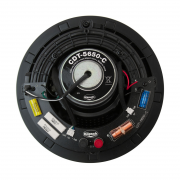 The Klipsch CDT-5650-C II installs in your ceiling, so it won’t take up any floor space. 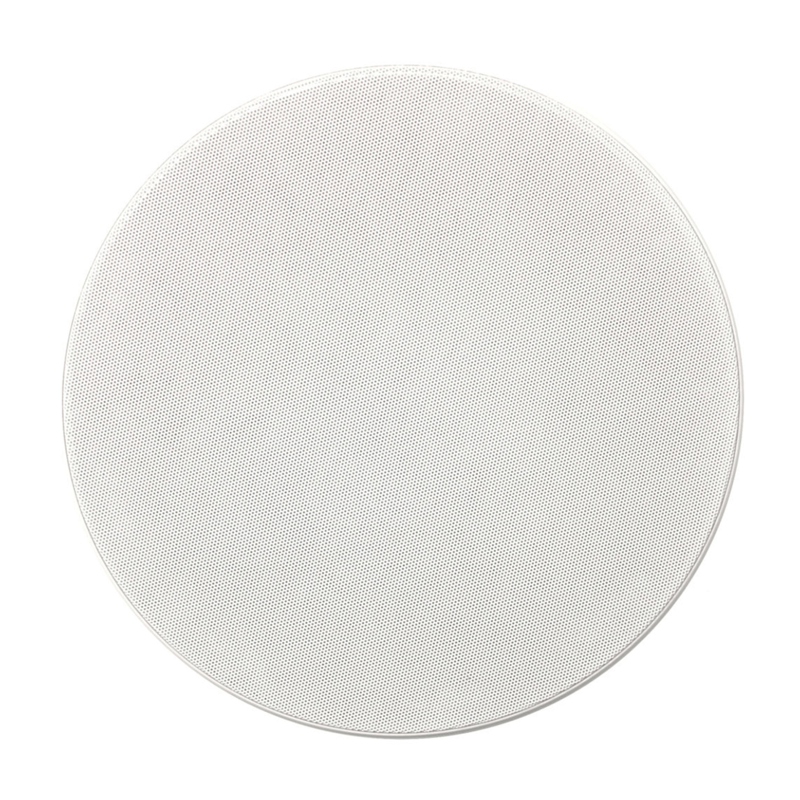 Treat yourself to top-notch sound with a speaker that blends seamlessly into your home’s décor. Its high-tech design and solid hand made construction make it a great choice for movie and music lovers alike. You can use multiple CDT-5650-C IIs for surround sound in an all-Klipsch home theatre, or install them in pairs for stereo listening with your multi-room audio system. Either way, you’ll enjoy crisp, clear Klipsch sound without the clutter of conventional speakers. With integrated whole-house audio systems becoming more popular than ever, Klipsch designed the Klipsch CDT-5650-C II to meet the market’s demand for a high-performance in-ceiling loudspeaker that easily challenges the basic limitations of fixed locations. 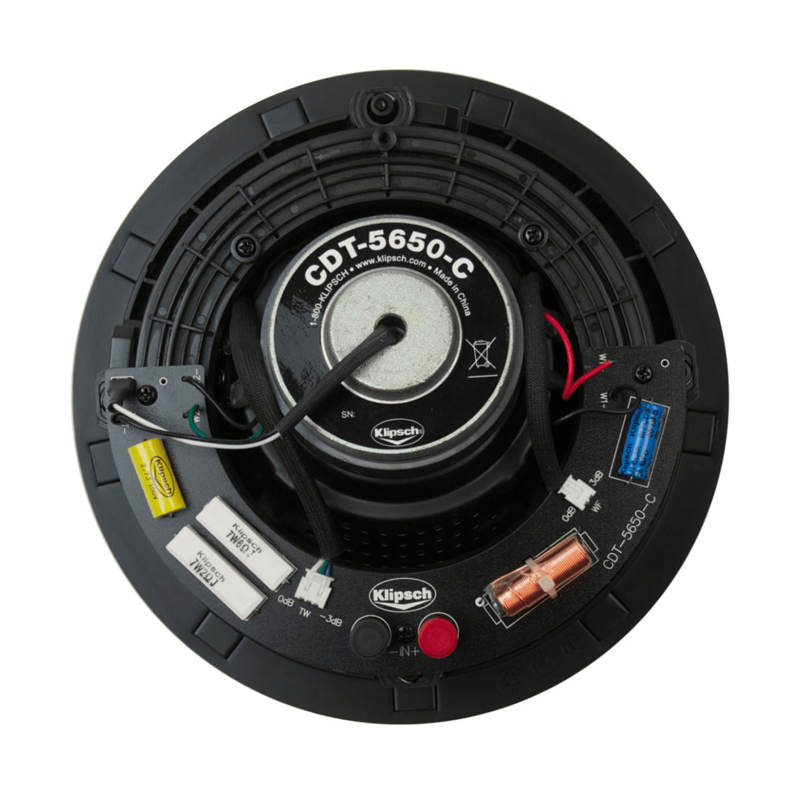 Thanks to a new patent-pending gimbal mechanism, known as Controlled Dispersion Technology™ (CDT), both the high and low frequencies of the CDT-5650- C II can be directed towards the listening area because the tweeter is independently adjustable from the woofer, this speaker offers even more precise localization. Titanium Diaphragm Compression Driver (Tweeter) with Linear Travel Suspension (LTS) Combined with the Tractrix Horn, the 1-inch, solid-formed, truly lightweight metallic diaphragm works in conjunction with a precise phasing plug at the horn throat to create a highly efficient driver with excellent transient response and lack of distortion. The new Linear Travel Suspension assures the most precise diaphragm excursion, increasing high-frequency detail and smoothness. 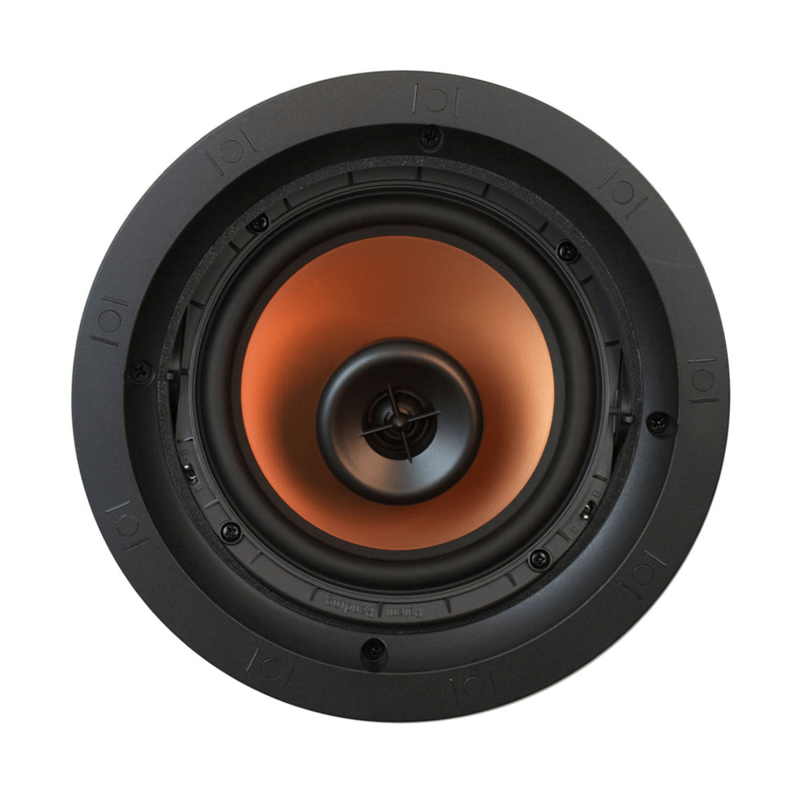 Klipsch Exclusive Controlled Dispersion Technology (CDT) Klipsch horn-loaded technology spikes acoustic output while significantly reducing deformity. 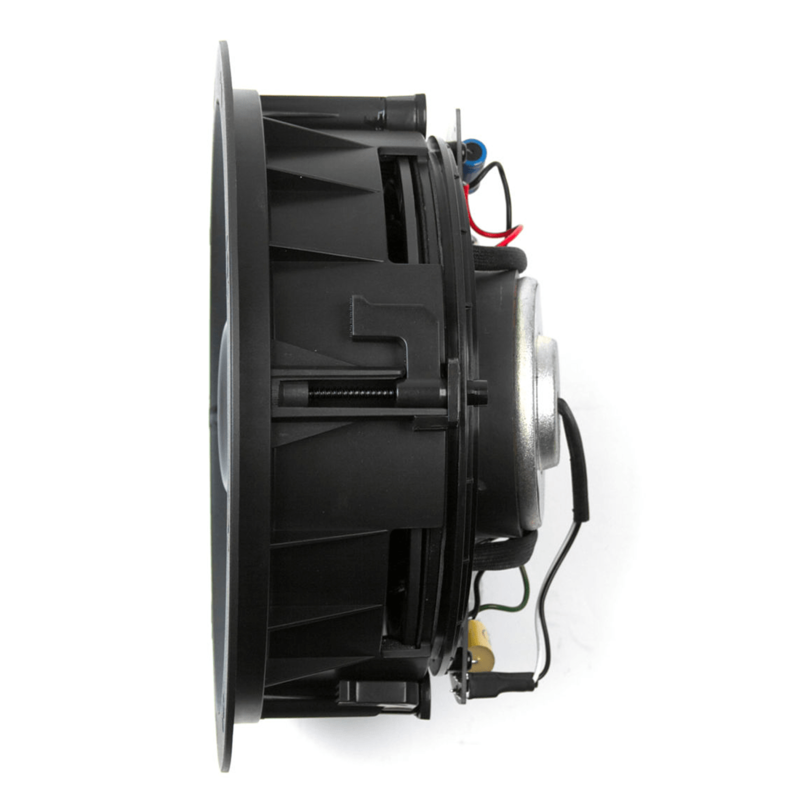 Proprietary Controlled Dispersion Technology allows for both the symmetrical, 100° Tractrix Horn compression driver (tweeter) and woofer to be independently aimed toward the distinguished listening area. 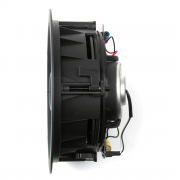 The tweeter swivels while the woofer rotates 360° and pivots 15° in any desired direction. The precisely controlled dispersion of the horn-loaded tweeter assures that high frequencies are more effectively directed towards the listening area than typical amiable, broad dispersion, standard dome tweeters. 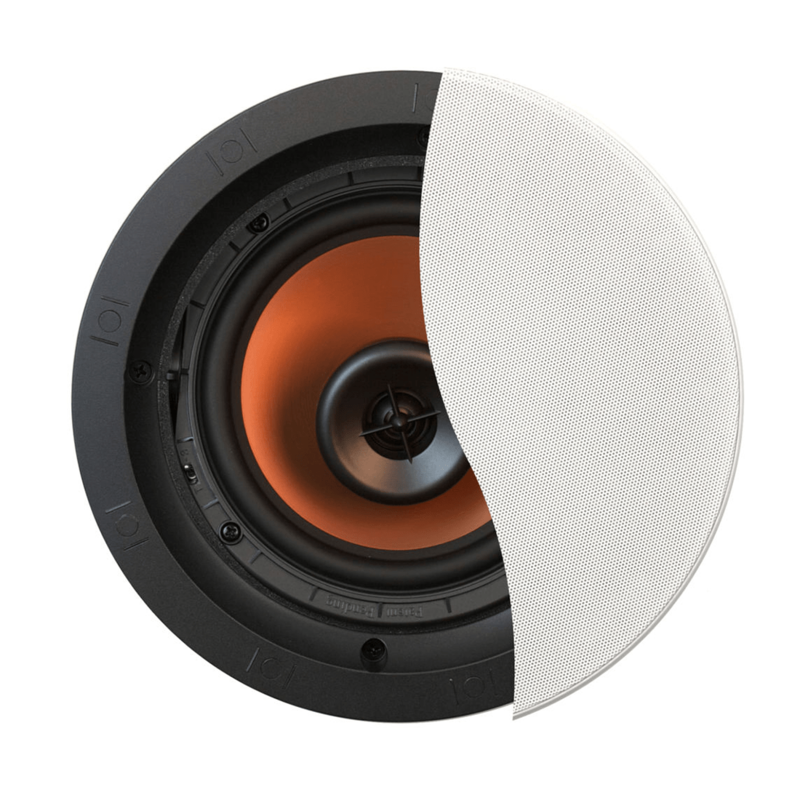 This, combined with the woofer’s ability to also direct more narrowly dispersed midbass frequencies, yields overall sound with more lifelike impact, greater detail and better vocal clarity.